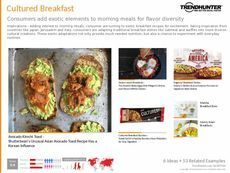 Find Better Ideas, Faster ® with a custom cultural food trend report, our PRO Dashboard and 80+ categories of premium trend reports. 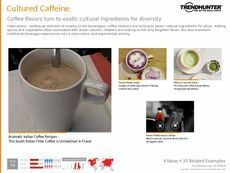 The Cultural Food Trend Report examines food products that draw on cultural flavor combinations and traditions. 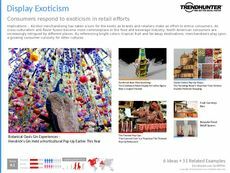 Exotic foods are gaining popularity, especially with foodies, exciting consumer eating experiences. Contemporary versions of traditional foods are also on trend, with things like instant noodle burritos and poutine sushi. The report also includes unique sauces, spices and condiments that infuse Asian and Italian flavors. This is a great report for restaurant innovators, chefs and recipe curators looking to get more adventurous and discover new tastes. 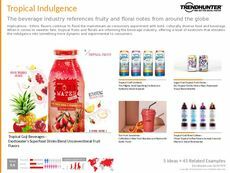 It is inspiring for food product developers and flavor innovators creating twists on traditional products to gain consumer attention. The Cultural Food Trend Report illuminates cultured palettes and flavor combinations that attract the adventurous eater.